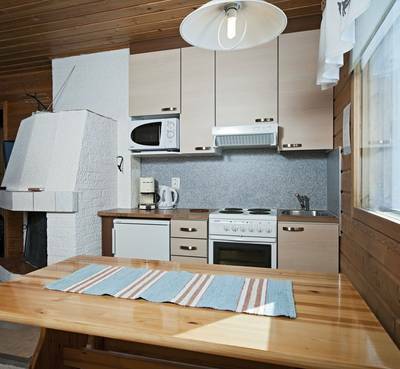 These traditional cottages overlook the nearby river and have a traditional and homely feel. 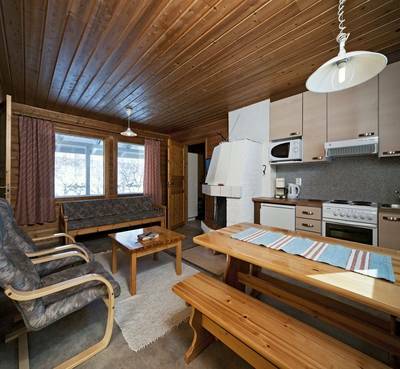 Each cabin has two spacious bedrooms, a cosy living room with kitchenette and delightful open fireplace. 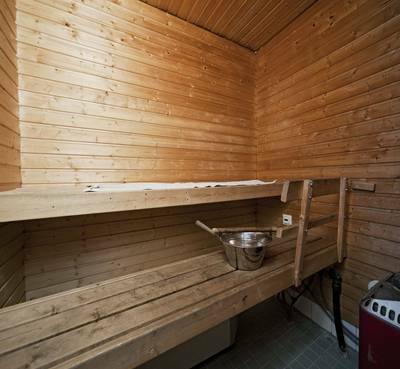 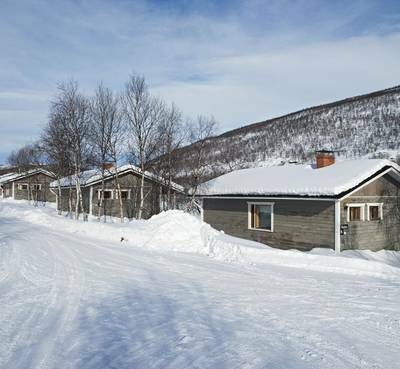 A sauna, shower and private bathroom shared between the two bedrooms are also included. 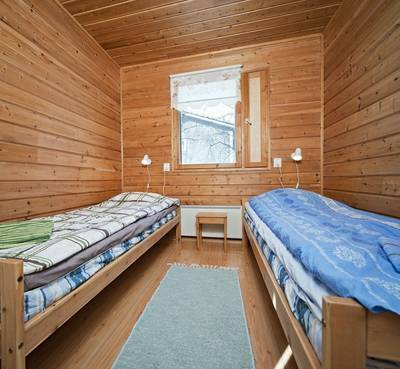 They are more rustic than the more recently built nearby hotel but they are a wonderful and cosy place to relax outside of activities and we feel represent good value for money.